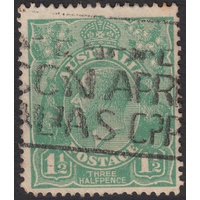 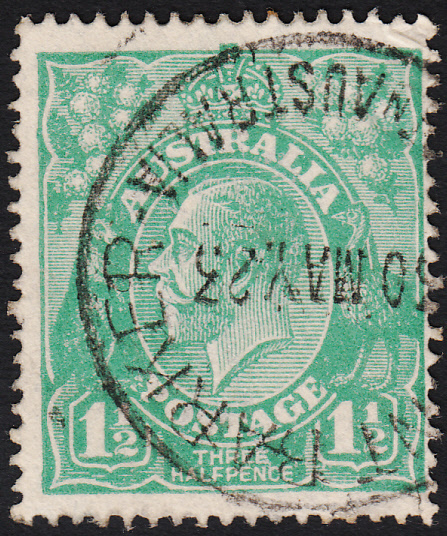 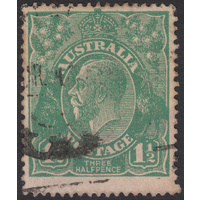 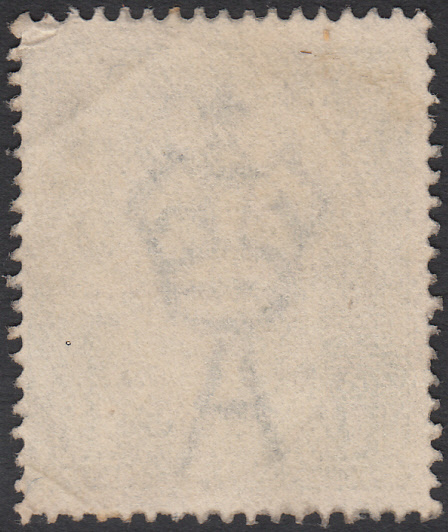 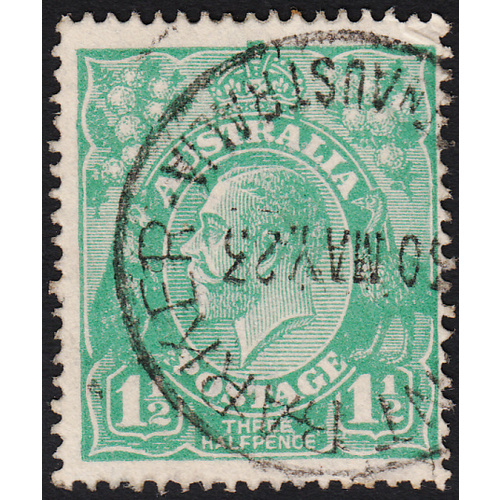 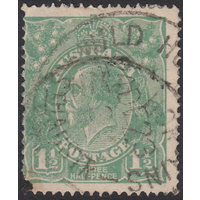 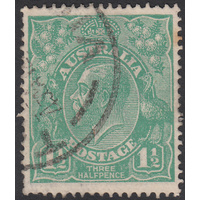 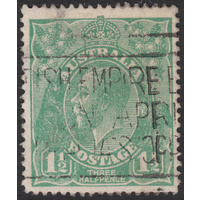 Australia KGV 1923, 1&1/2d Green, Single Watermark, variety 13R60, First State, (Variable flaw joining L and F of HALF, notch on inside of bottom frame below H of HALF, irregular dent in left frame with slight outward bulge at bottom of dent near top left corner) in Good Used condition with a small diagonal crease across the top right corner and a crumpled top right corner perforation. 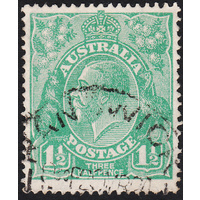 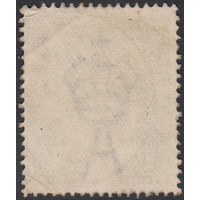 Centered right with a circular datestamp cancellation (MT BARKER, WESTn AUSTRALIA, 30th May 1923) obscuring the first indicator but clear of the other two indicators. 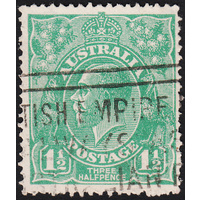 Bill Fiora identified 3 States of this flaw, and this example corresponds with his First State, displaying the outward bulge in the left frame prior to retouching. 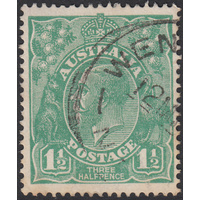 A very useful dated example!